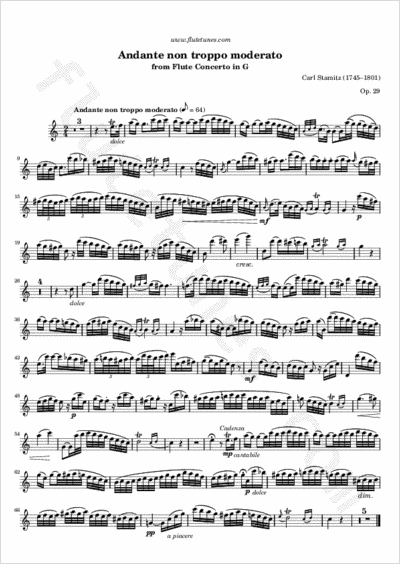 The delightful Flute Concerto in G, Op. 29, was composed by Czech-German composer Karl Philipp Stamitz, now better known as Carl. It is similar in style to other better-known works by Mozart or Haydn, but with some more unexpected turns of form. This second movement, marked “Andante non troppo moderato”, features a beautiful singing melody in the flute, accompanied by beautifully light pizzicato figures from the orchestra. Thanks to Micron for requesting this piece!